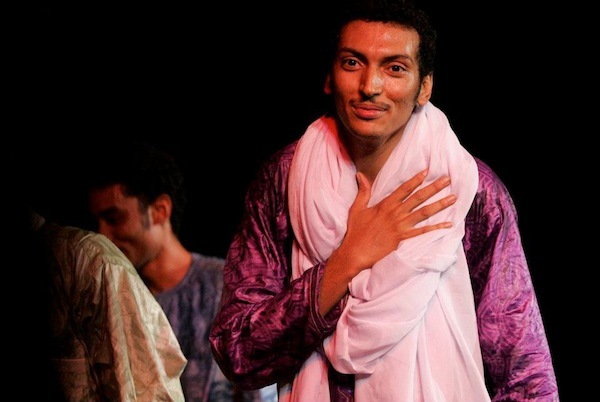 Have you seen Bombino yet? In a few years, we think this might be the same as one of your friends today saying, “you haven’t seen The Black Keys?” A stretch you think? Perhaps, but having seen this fresh take on African infused rock with blues undertones, it might be less than you think. Local artist and influence, Loney John Hutchins gets things started around 9pm. Go ahead and grab tickets right here, while you get a bit more comfortable with the lineup below. Hailing from the Taureg people of Nigeria, Bombino harnesses the American musical roots that have helped his rise around the world, but his native sincerity is one of the most refreshing things about this incredible artist. We had the chance to catch Bombino at Forecastle Festival and before Bonnaroo at Oak Valley Lanes for that “secret show” with Nikki Lane that was partially set up by Grimeys and Dan Auerbach. There’s another Black Keys reference, and that’s because Auerbach was the producer of Bombino’s most recent release, Nomad. So, we’ve said it before, Bombino shreds, his crews puts together some solid rock jams, and with the sincerity of a man that has survived a world that most of us couldn’t fathom, and this is your chance to check it out. We first got to know Loney John opening for our homeboy (we wish we were that cool), Frank Fairfield, back at The Stone Fox in April, and it was good to see the frequent sideman and local music tastemaker (for his Cleft Music Label) perform his own self described “altcountrytheatricalindiepoprock”. We couldn’t think of a better local opener for Bombino. You can get to know a bit of what you can expect by that amazing self-description with the live and demo tracks below. Bombino & Loney John Hutchins perform tonight (11/21/13) at Exit/In. The show is 18+, begins at 9pm (doors at 8pm), and tickets are available for $15 in advance or $18 at the door.